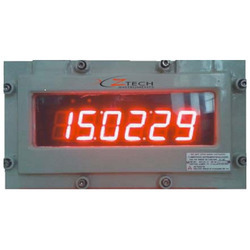 Master Clock has been developed for the power and process industry time synchronization requirements. It is the most featured and cost-effective GPS time synchronization solution available in 1U compact size. MC-1-U is Reliable and provides time accuracy of 150nsec at basic level. 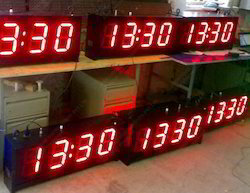 Pioneer in the industry, we are engaged in trading an impeccable range of Ajanta Digital Clock. The Digital clock/timer Type SE1010 is designed for use in helicopters like Cheetaah and Chetak. It is basically a quartz controlled electronic time measuring device.